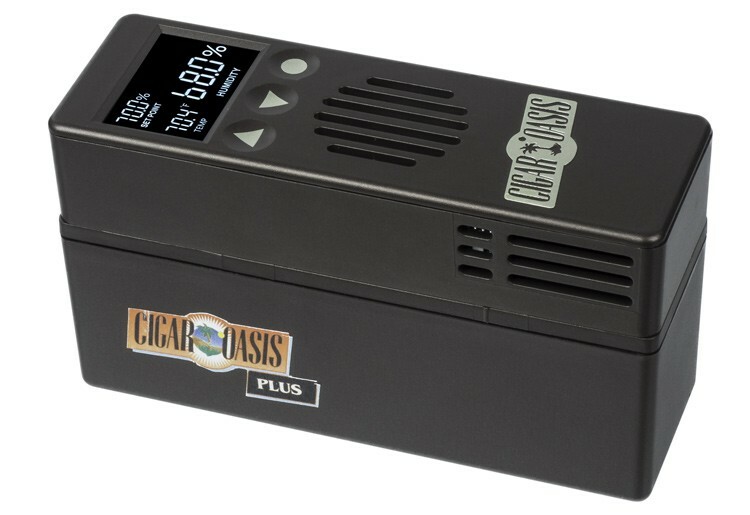 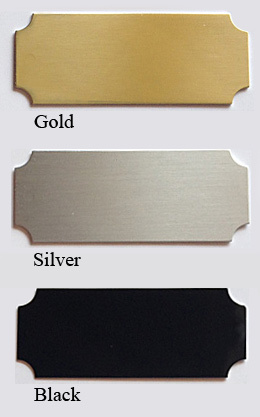 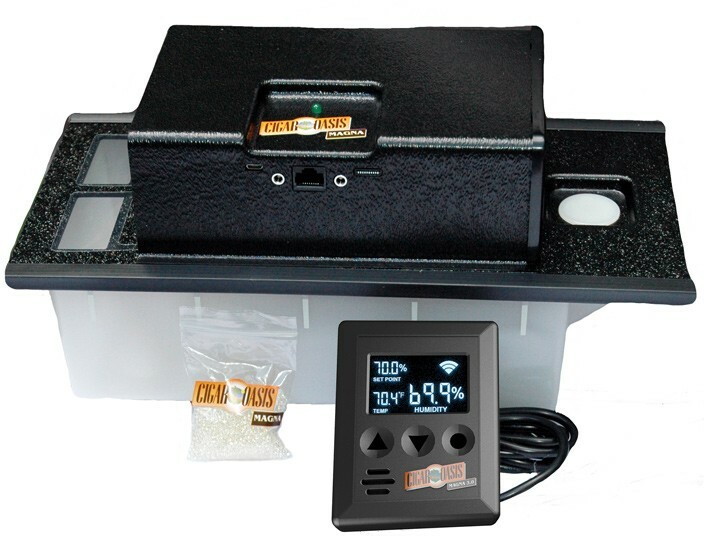 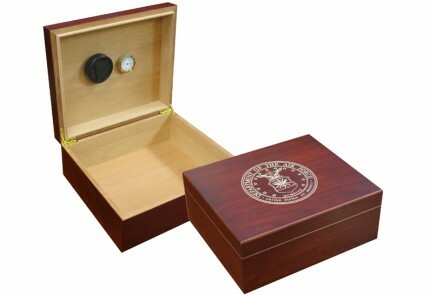 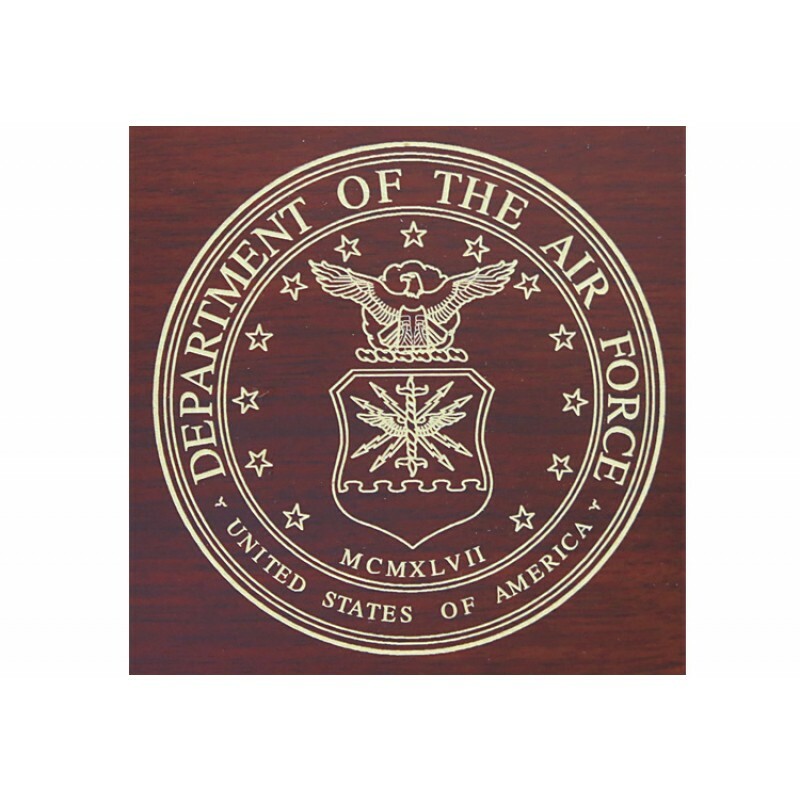 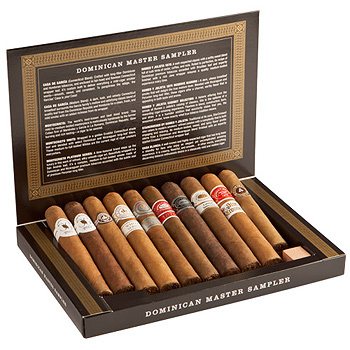 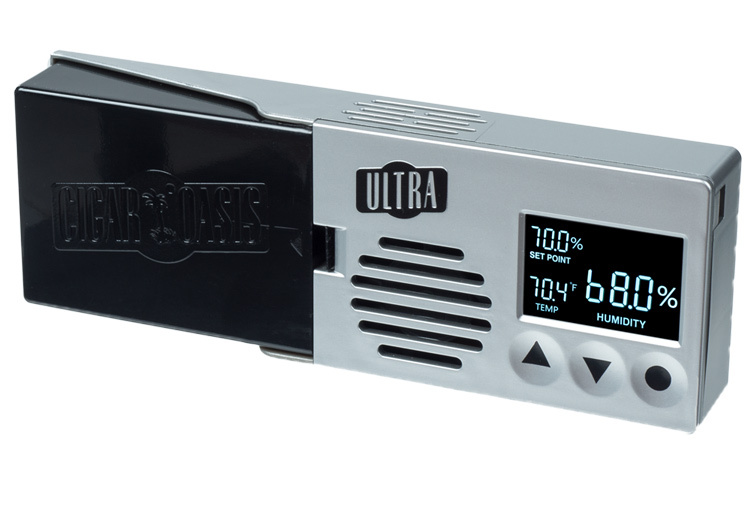 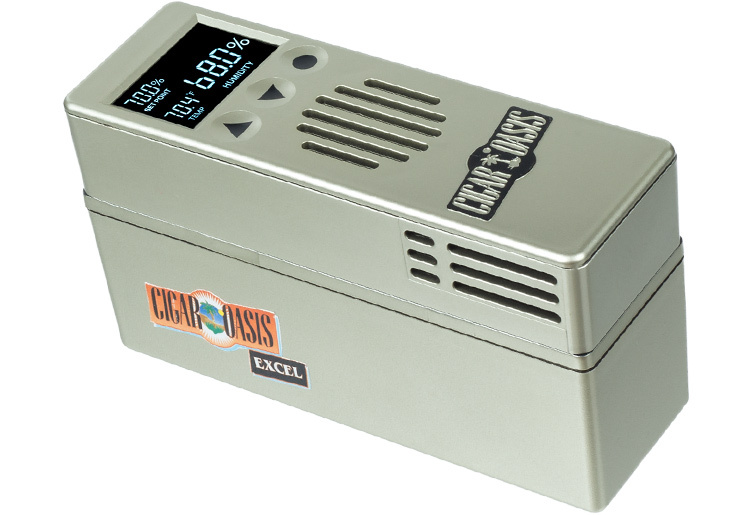 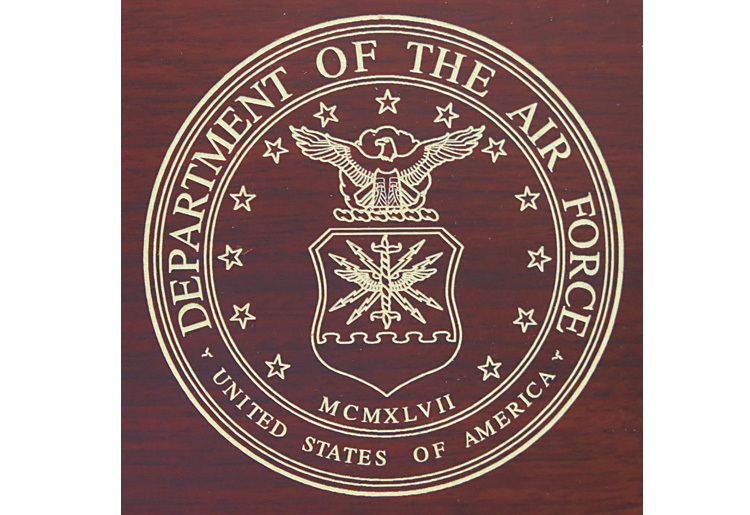 The Air Force cigar humidor is available in a rich cherry finish at an fantastic price! 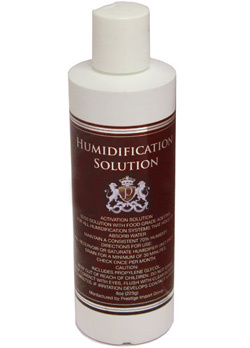 Maintain between 25-50 cigars in this spanish cedar lined humidor which includes an adjustable divider, humidifier and hygrometer. 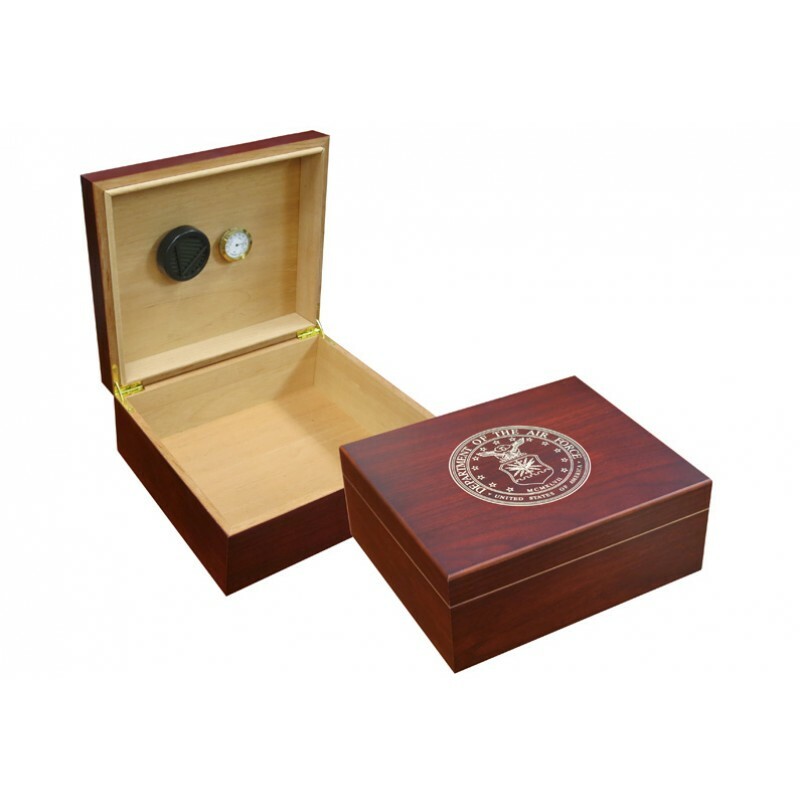 Show off this one of a kind humidor with the US Airforce logo on top of its lid!